Are we to blame for our weight gain? It is so easy to take your finger and point it at someone or something else as the cause of our weight problem here in America. We could easily blame all the fast food restaurants that sit on every corner, the internet for allowing us to not have to physically be everywhere, or the fact that every check out counter is loaded with candy bars that we can’t resist as a last minute purchase. 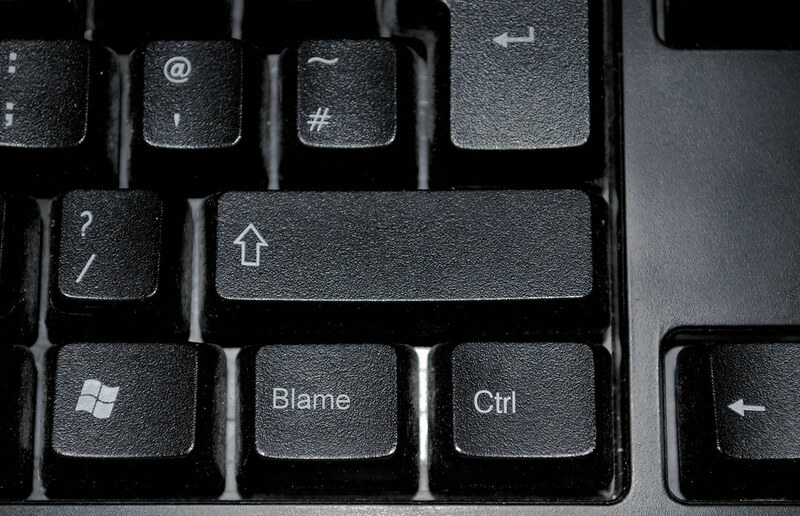 Blame someone else, its as easy as pressing a button. Just because we can blame almost anything for our weight problems, doesn’t make us right. We need to realize that the most responsible party for our weight control is not the fast food restaurants, the advertising, or anything else of that sort, but rather, it is ourselves that need to be held responsible. Sure it might not be entirely your fault that you are the way you are, but you are the one who is ultimately responsible for making any changes for yourself. Your mother and father may have raised you to have poor diet and exercising habits, but as an adult, it is your responsibility to acknowledge and change those habits if you desire. Stop placing the blame on others, and realize that if you have the time to complain about something, you probably have the time to make a change. This entry was posted in Guest Post and tagged battle, blame, exercise, finding thin documentary, food choices, health, healthy, lifestyle, responsibility, weight, weight loss, why are we so fat. Bookmark the permalink.